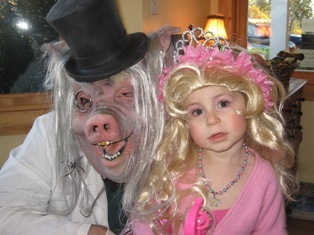 I love Halloween on Orcas. After all the activity that takes place during the summer, Halloween reminds us we don’t have to wait for the holidays to celebrate and get dressed up!! 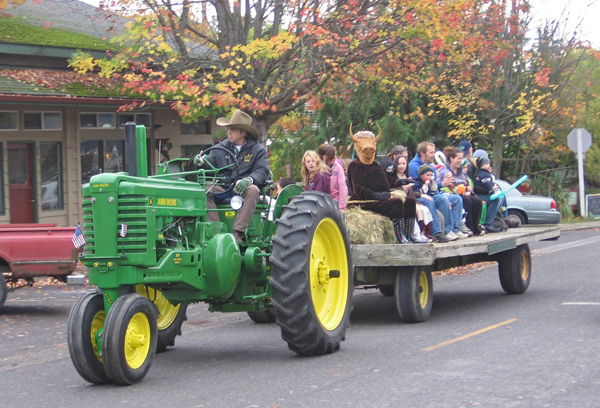 In true Orcas style, the community pulls together a successful event in Eastsound each year. 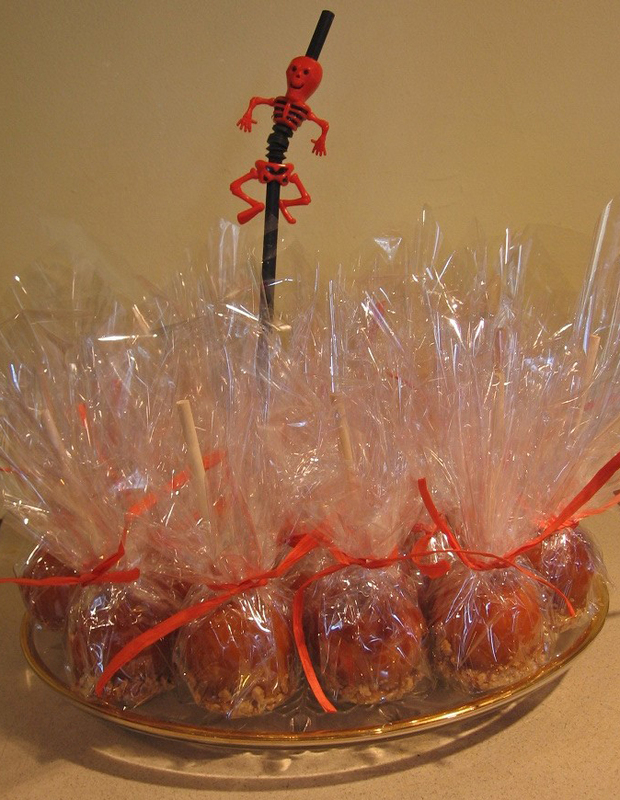 Starting mid-afternoon, village businesses pass out treats to costumed kids of all sizes and styles.It might seem early in the day for goblins and ghouls, but it gives us empty-nesters a chance to gaze out the office window and remember when we too paraded down the sidewalks with tiny tots in tow. This year the Orcas Historical Museum is doing something different: a re-enactment of the story of the Olga Bear, circa 1910. Orcas Center is lending costumes and community members will learn a few lines and become characters for one afternoon. Some of us are already characters! One of the simple pleasures of fall is canning the summer’s bounty — especially when you invite a girlfriend over to can along with you. 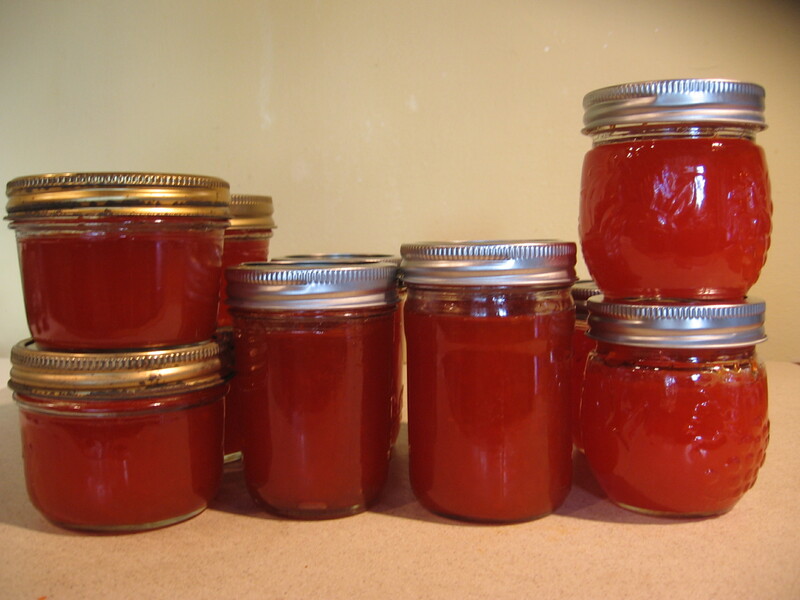 Last week a friend and I had fun making Red Pepper Jelly — a recipe idea from Pacific Northwest: The Beautiful Cookbook by Kathy Casey. 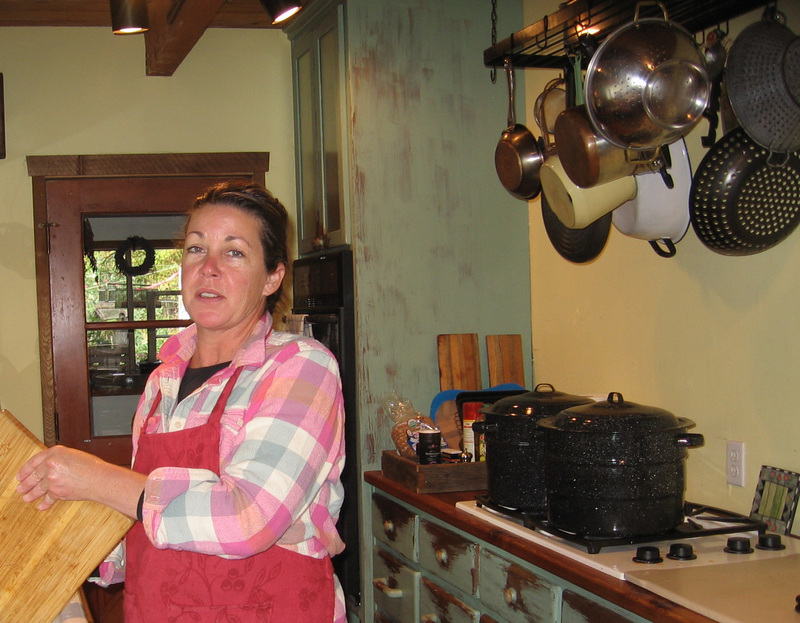 Christina Bollinger, import from Lopez, family friend, blogger and connoisseur of fine food helped me can jelly. 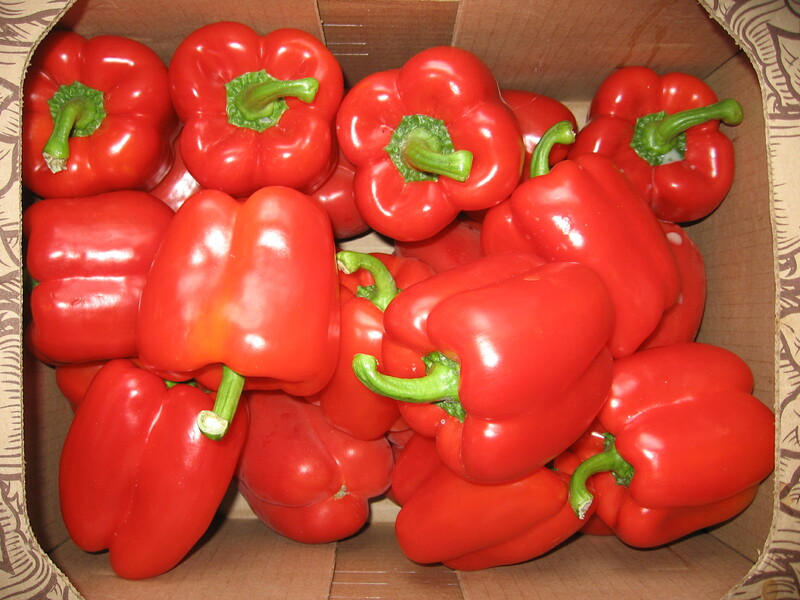 3 large red peppers, cored and seeded. 3 fresh Serrano (small hot red) chili peppers. Cored and seeded. 3 oz. (1 box powder) of liquid pectin. 3 ½ cup white sugar. Serve with sour cream as a side to scrambled eggs. I got this idea from watching an Emeril Lagasse cooking show. Didn’t write recipe down, but remembered the gist of the dish. Place chicken thighs and legs on a baking pan. Cut apple into 4 pieces (with skin), cut large chunks of yellow onion, and add both to baking pan. Dump jar of red pepper jelly on top of all ingredients and stir to coat all. May take 2 jars depending on size of your pan and amount of ingredients. Bake at 350 for 40 minutes, or until chicken is done and apples and onions are to desired doneness. Serve with a green salad and rice. Coming from Florida where it’s virtually one season year-round, I’m very attuned to (and appreciative of) the change of seasons here on Orcas. 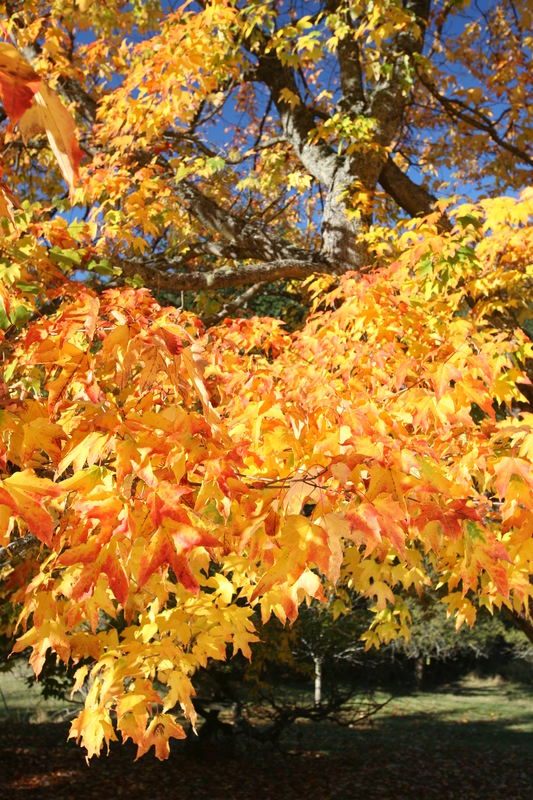 Spring and summer are wonderful, but Fall is my favorite. 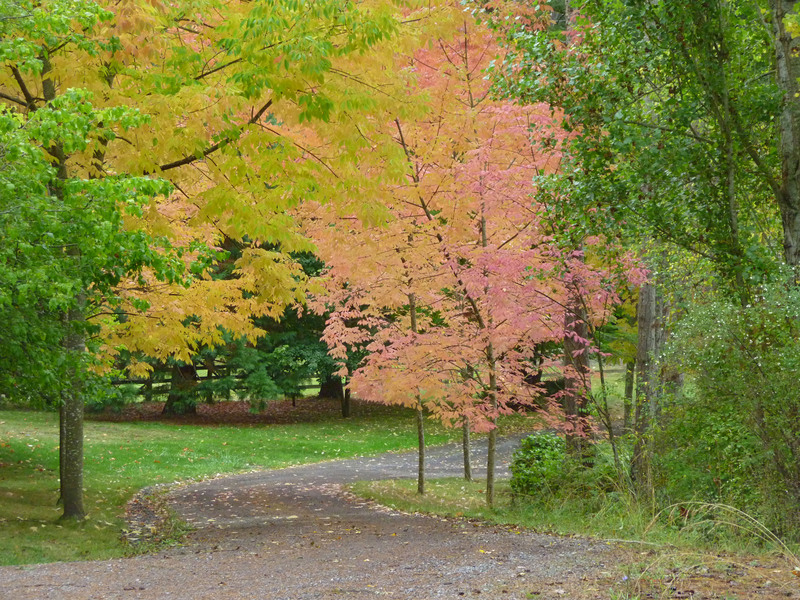 In late September the pace slows and year-round residents reconnect after a busy summer. 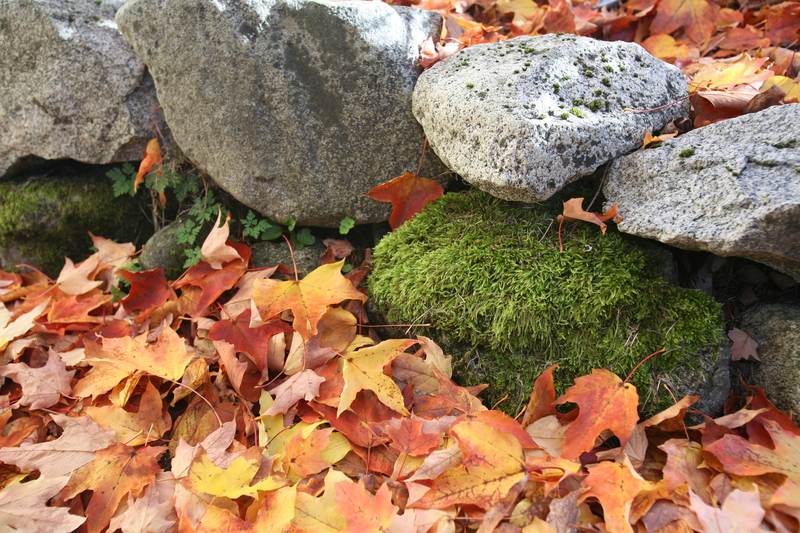 Days remain mild and light rains resurrect the mosses and replenish our aquifer. But I have to admit, it’s the eye candy that delights me most! Here are a few of my favorite scenes (click on pictures to enlarge.) If you have any pics you’d like to share, I’d love to see them! Berries on our native honeysuckle vine. 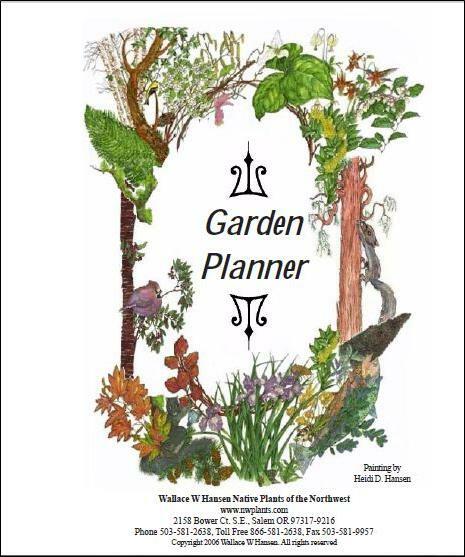 Customers include finches, robins, flickers and juncos. 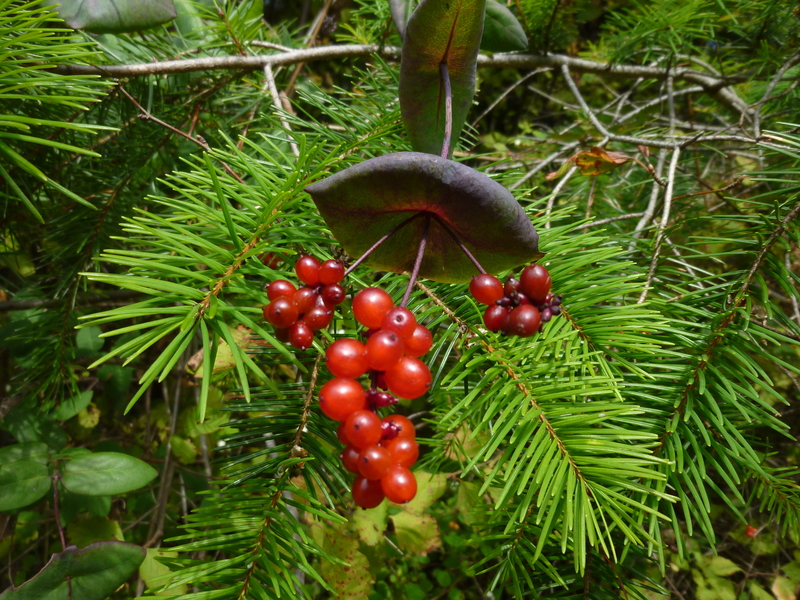 Mahonia (Oregon grape) sporadically changes its leaf color in fall but is a hardy evergreen – and deer proof! 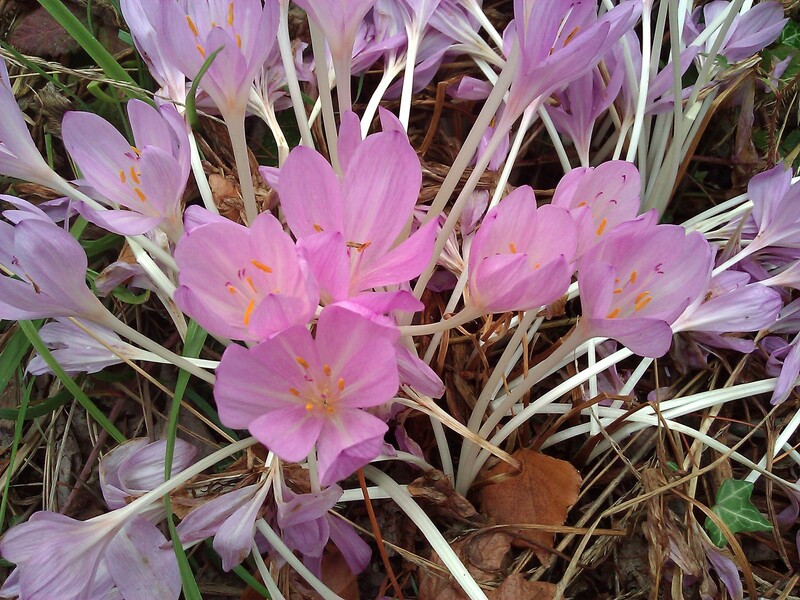 Curiously growing at the base of Turtleback Mountain, this Autumn Crocus is a remnant of an old homestead. 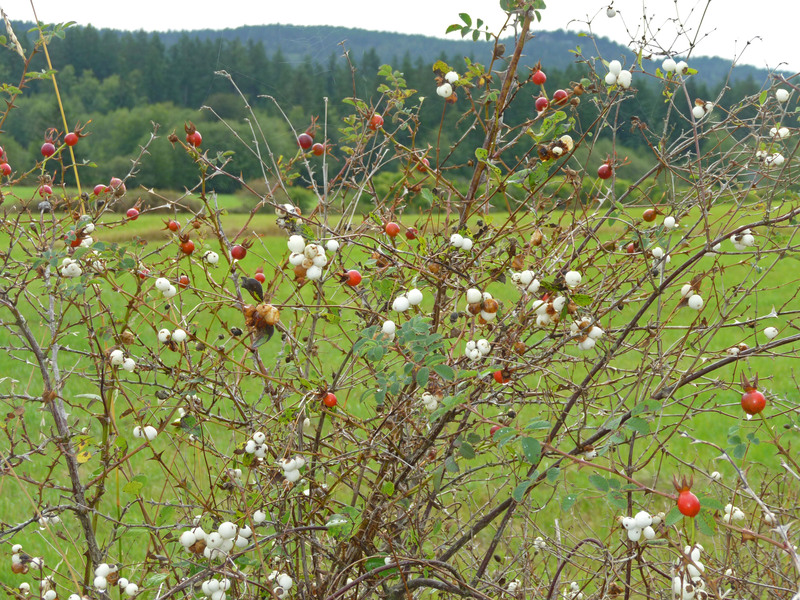 Snowberries and rosehips decorate our roadsides. 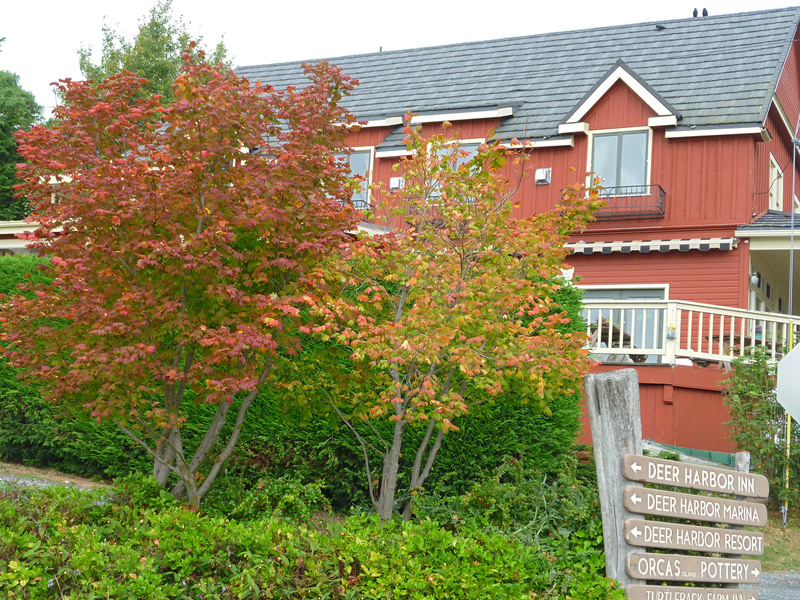 Vine maples morphing into the color of Kingfish Inn in Westsound. 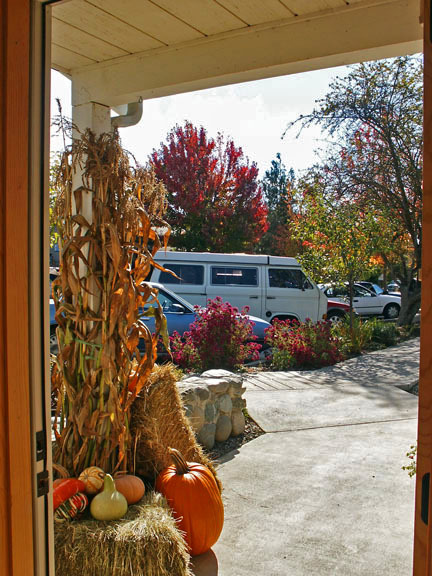 View from our office door at T Williams Realty. Teri loves to dress up our entry for the seasons. 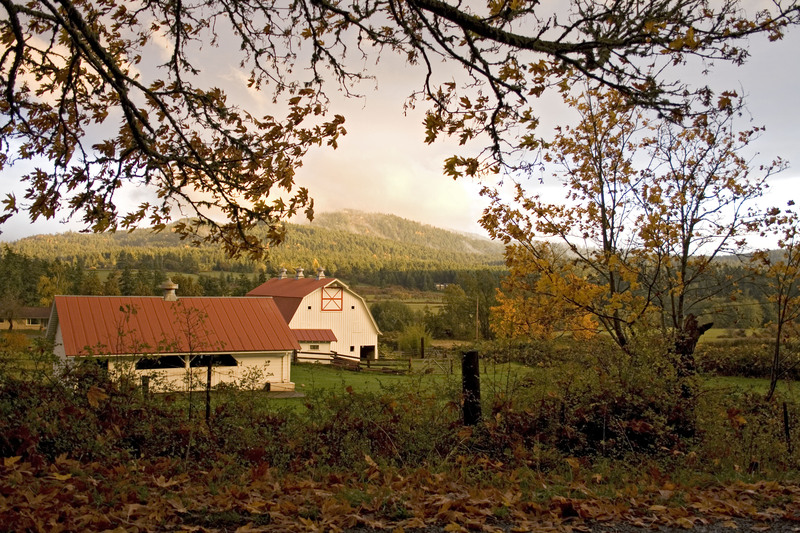 Fleisher’s Farm in Crow Valley with Mt. Woolard glowing in the background. 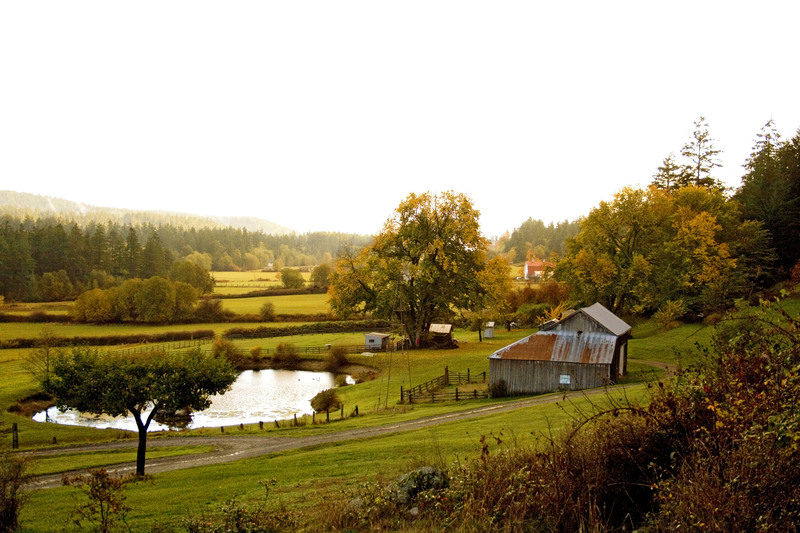 Another picturesque farm in Crow Valley. One lucky day I snapped this photo on my way home when the light was simply magical. 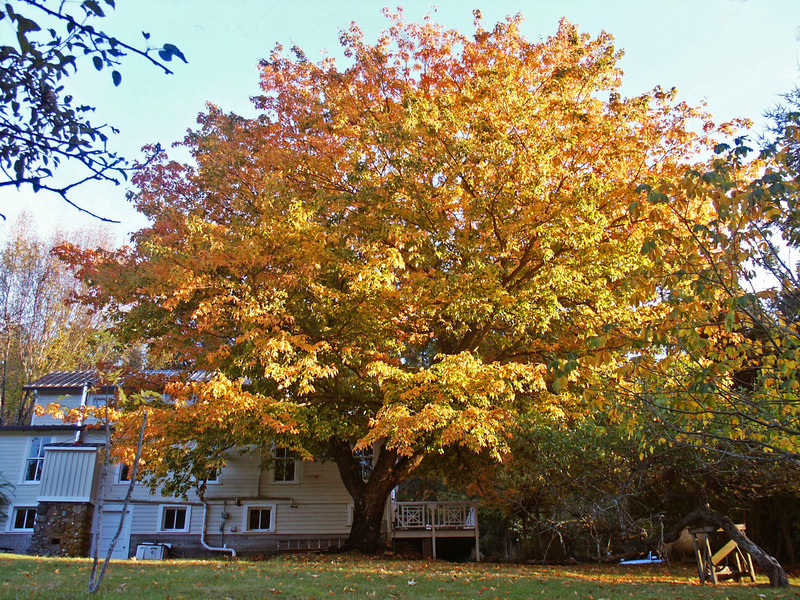 A giant Sugar Maple towers above a three-story farmhouse in Deer Harbor. Imagine the view from inside! Close-up of the same sugar stunning maple. Eye candy deluxe! 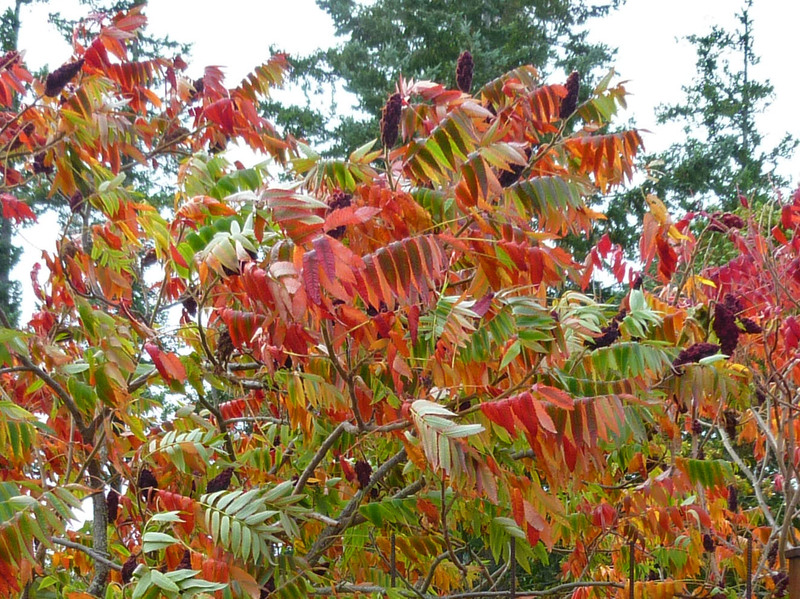 Kaleidescope of color on a Sumac tree. 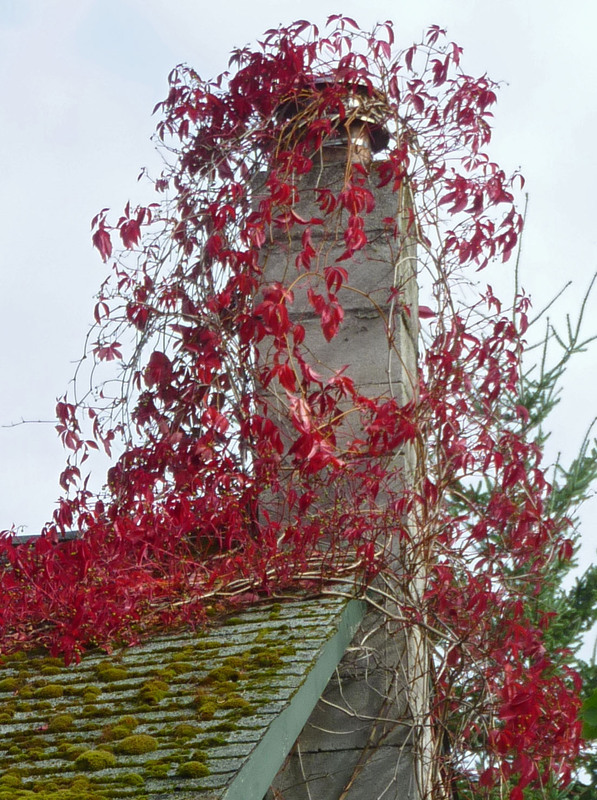 A splashy Virginia Creeper overtaking chimney and roof. 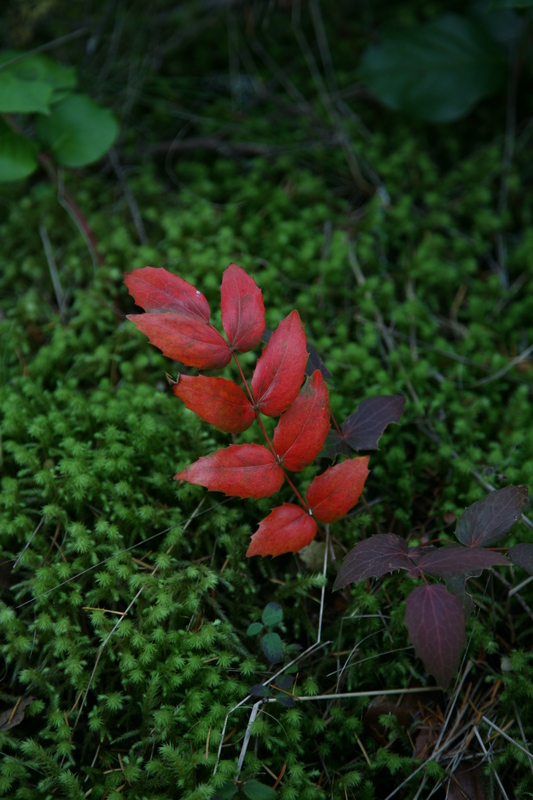 Simple vignette capturing fall on Orcas. Birthday whales! What more could you ask for? 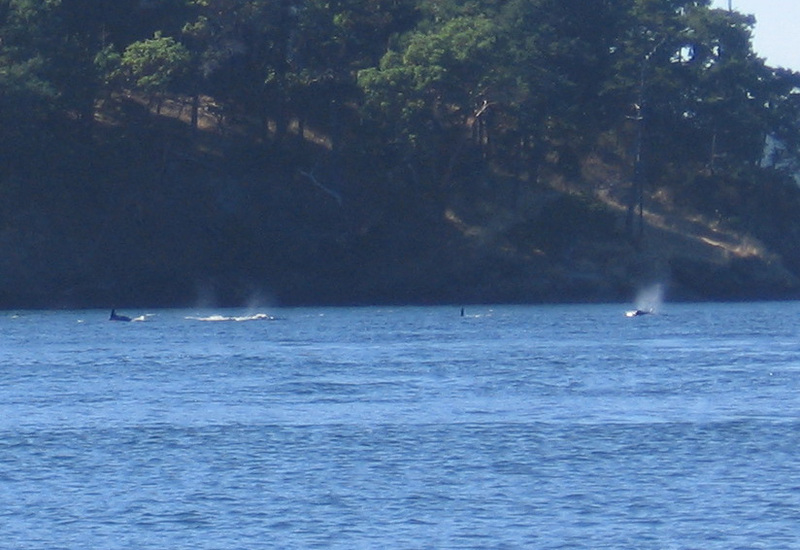 …I looked at the mouth of Friday Harbor to the north and saw a whale jump! I could hardly believe my eyes when the pod of resident orcas started towards us. A few swam to the west of Turn Island but soon came back and headed past our boat toward the deeper waters of the channel. The activity unfolding in front of our eyes took my breath away. If you’ve not witnessed these graceful animals frolic in the water you really need to put it on your bucket (or birthday) list! I told Jay these were birthday whales and a gift I’ll never forget. A perfect ending to a perfect day...Life is good. After the show, we crossed the channel to the protected waters of Shaw Island’s Parks Bay, one of my top spots for viewing the sunset. It has good bottom for anchoring and is surrounded by undeveloped land owned by UW. Although you can’t go ashore, a row around the bay is a treat. You might see raccoons harvesting oysters or a blue heron patiently fishing in the shallows. Sleep comes easy after a day on the water. Sunday morning we awoke refreshed enjoyed a leisurely breakfast – meals always taste better on a boat! 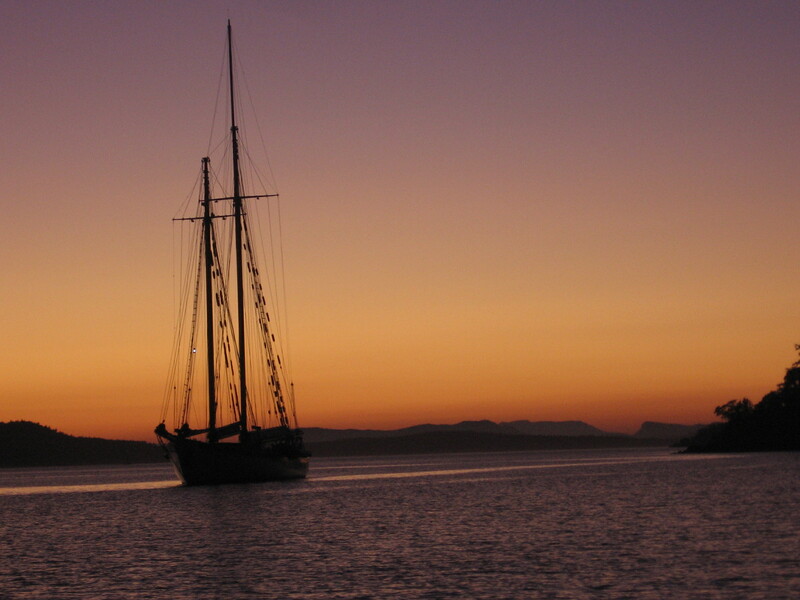 We reviewed the currents and charted our course for motoring back to our slip at Bay Head. I like to head back early before the waves get sloppy and boat traffic heavy. My birthday weekend was filled with love, laughter, good food, nature’s gifts and boating. 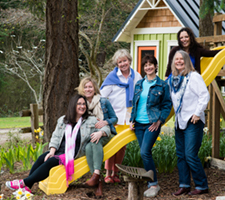 I can’t imagine a better way to celebrate another year of life in the San Juan Islands!